It’s green, mean, and ready to hit the track! Having sold Opel and Vauxhall to the PSA group, General Motors has pretty much left the European market. 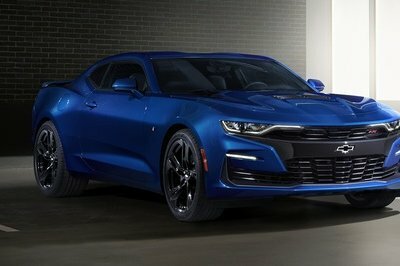 However, Chevy is still active on the Old Continent by offering the performance-oriented Camaro and Corvette models. At the 2017 Geneva Motor Show, Chevrolet previews a track-focused version of the Camaro. Essentially a Euro-spec version of the1LE, the Camaro Track concept sports many of the features seen on the U.S. Camaro SS fitted with the aforementioned package. Granted, it’s by no means as extreme as the new ZL1 1LE, but it comes with an enhance aerodynamic kit with upgraded front and rear bumpers that reduces lift at high speed. 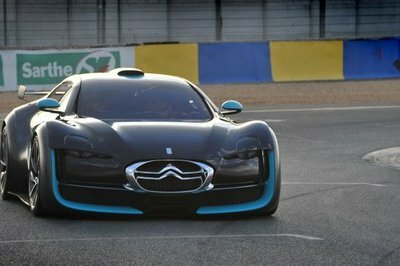 It also has a three-piece rear spoiler and 20-inch aluminum wheels wrapped in custom Goodyear Eagle F1 Supercar tires that will stick to the Nurburgring track like crazy. The bespoke appearance is further enhanced by the smoked taillights, black emblems, and the flashy satin green paint with unique, gloss-black stripes on the engine hood and roof. More goodies are available inside, starting with the Recaro bucket seats and the flat-bottom steering wheel wrapped in suede. Chevy also added suede knee pads and center console arm rest, premium floor mats, and aluminum pedals. 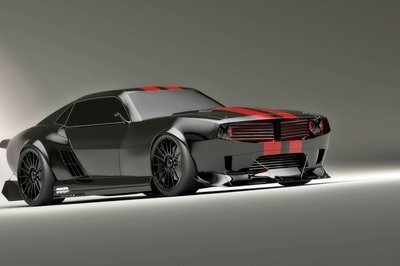 Drivetrain-wise, the Track concept is based on the Camaro SS, getting its juice from a 6.2-liter V-8 rated at 453 horsepower and 617 Nm (455 pound-feet) of torque. 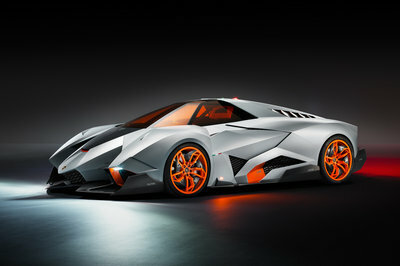 It also mates to the standard eight-speed automatic transmission. However, the muscle car received quite a few additional goodies, including engine, transmission and differential coolers, an electronic limited-slip differential, upgraded FE4 suspension lowered by 30 mm (1.2 inches) for improved cornering capability, and Brembo six-piston brakes. There’s no specific word as to when the Track concept will become a production model, but Chevy said that a selection of the official Chevrolet Performance parts offered in the U.S. will become available in Europe in the "near future." 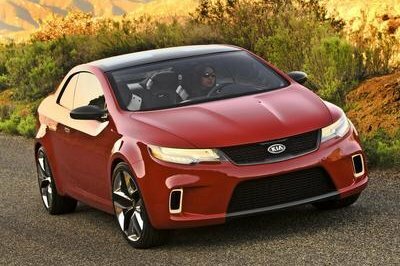 I guess it’s safe to assume we should see the actual car in dealerships by the end of 2017. A clever marketing scheme, the Track concept is just a Camaro 1LE for the European market. But I’m not going to give Chevy heat for this strategy, as it has become a tradition for Chevrolet Performance parts to be showcased in production-ready concepts in the U.S. too. Misleading or not, the fact that GM wants to bring the 1LE to Europe is actually a good decision. The Old Continent could use some diversity in this area and the 1LE will enable the Camaro to better compete with popular European sports coupes like the BMW M4 and Mercedes-AMG C63. Read our full review on the Chevrolet Camaro ZL1 1LE here. 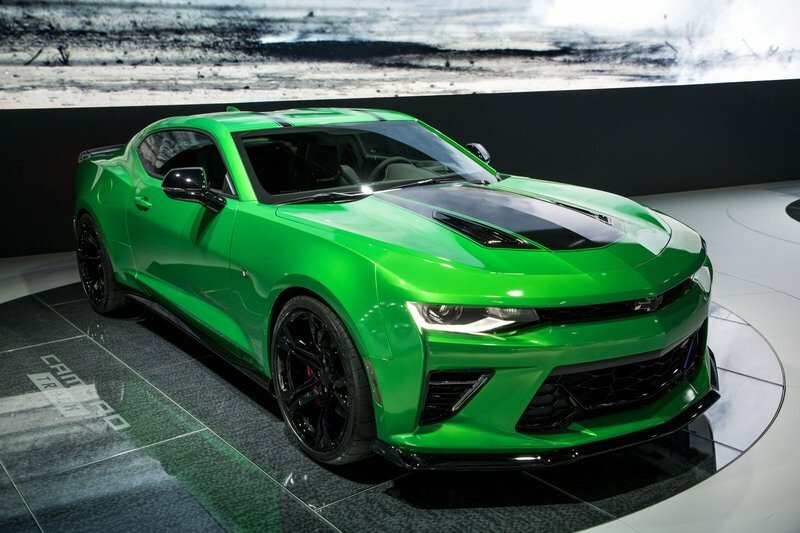 Star on the Chevrolet booth at the 2017 Geneva International Motorshow is the strikingly designed, satin green Camaro Track Concept that combines the Camaro’s legendary street performance with enhanced on track capability on par with the Camaro 1LE. This special model is designed for the discerning driver who requires a vehicle that can fulfil both the roles of a fast sports coupe for everyday road use and high-performance car for track time on weekends. 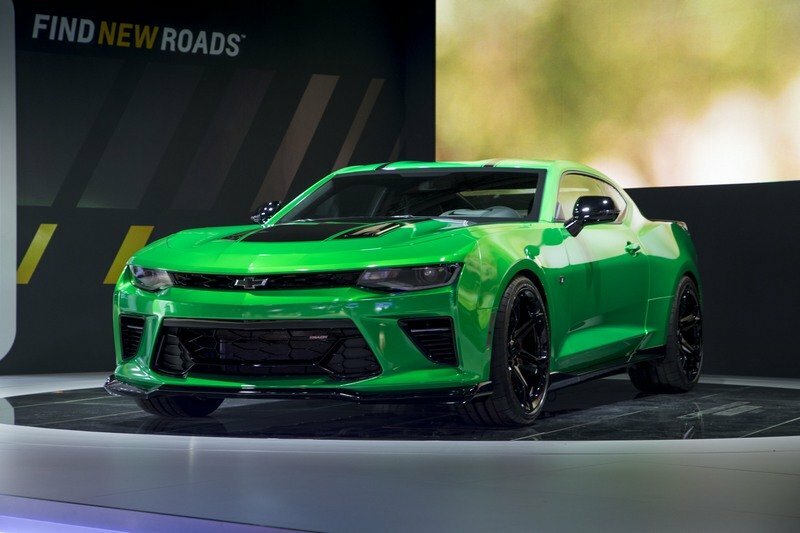 Building upon the Camaro’s sixth generation’s light and stiff chassis, the Camaro Track Concept offers a host of upgrades that combine to make it a formidable vehicle on road and track. In addition to standard Camaro V8 versions featuring technical highlights like torque vectoring or a track mode, the Track Concept boasts additional engine, transmission and differential coolers and leverages an upgraded FE4 suspension (lowered by 30mm) for improved cornering capability. This performance-oriented chassis system is specifically tuned for the magnetic dampers, springs and stabilizer bars. The package includes a new segment-exclusive electronic limited-slip differential, massive Brembo® six piston brakes for impressive stopping power and an enhanced aero package that reduces lift at high speed. 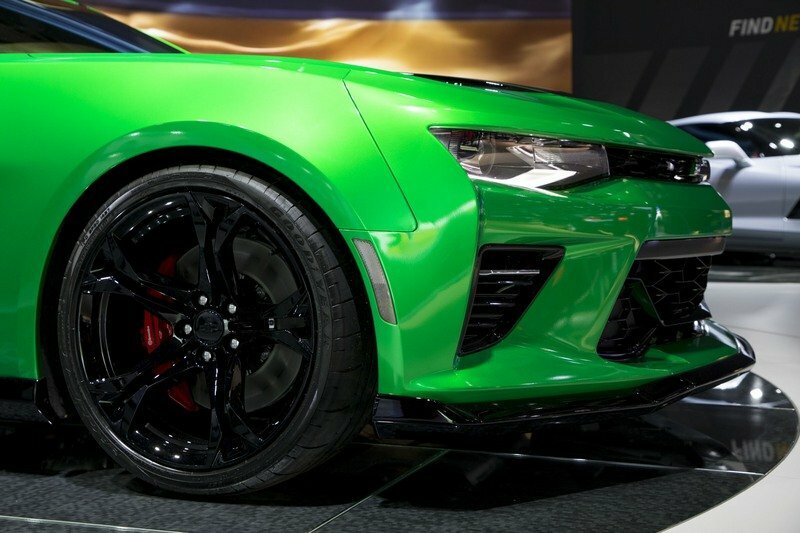 The 20” gloss black aluminum wheels are paired with exclusive Goodyear Eagle F1 Supercar tires, lateral acceleration will exceed 1 g.
Presented in a modern interpretation of a classic Camaro color scheme, the Camaro Track concept is finished in a striking satin green with unique hood and roof stripes in black gloss, to distinguish it from its tamer siblings. The Camaro Track Concept has been enhanced exclusively with official Chevrolet performance parts offered in the US. An adequate selection will become available in Europe in the near future..